Are you a pet expert or amateur? Put your cat and dog knowledge to the test with our pet quiz. Vet visits can be stressful. 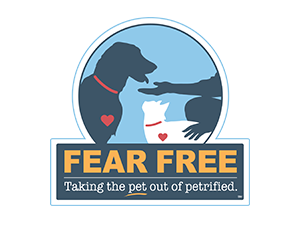 We are currently undergoing training to become “Fear Free Certified”. You may notice some new and improved changes throughout the hospital to help ease stress and anxiety. This is the best medicine for your pet. Dental care is essential for pet health. Routine dental care is important for the lifelong health of your pet. If left untreated, periodontal disease can spread infection to all of the body systems. You can be confident your pet will receive the best medical care and every convenience while here for their dental procedure. Our professional and compassionate veterinary staff are committed to strengthening the lifelong bond between pets and their parents. We are here to provide your pet with the best possible preventative, medical, surgical and dental care. We are a cat friendly practice. You can be confident your cat will be given exceptional care and attention through all phases of their visit. It is our hope that by implementing extra cat-friendly measures, we will be able to increase and improve the quality of life of your feline companion. Longwood Veterinary Center is a full-service, AAHA (American Animal Hospital Association) accredited veterinary center located in Kennett Square, PA. We are conveniently located at the corner of Routes 1 and 52 South, just a half mile from Longwood Gardens. 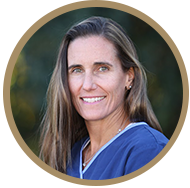 Comprised of compassionate, skilled and experienced professionals, we are dedicated to providing the best possible veterinary care for your pet. As an AAHA accredited veterinary hospital, we are held to approximately 900 rigorous standards in the areas of emergency services, pain management, dentistry, radiology, surgery, anesthesia, pathology and more. Our hospital features state-of-the-art diagnostic equipment, and our doctors and nursing staff continually further their education to provide the latest, safest and highest quality patient care. 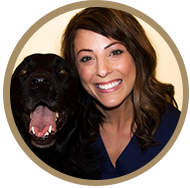 We understand the special bond between pets and their owners and strive to strengthen that bond through communication, education, surgical, medical, and preventative health care. It is important to us that you feel you can ask questions, discuss treatment options, and be informed about the choices available. Together we will create the best lifelong plan for you and your pet. At Longwood Veterinary Center, we are committed to providing compassionate veterinary care from our family to yours. 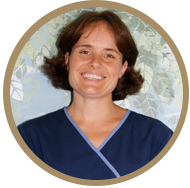 "Dr Knipe has always been very good to me and my cats. All of the staff I have dealt with at Longwood are very nice. I really appreciate how everyone takes the time to explain everything to me." 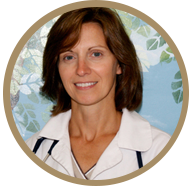 "I just wanted to express how wonderful it has been to switch to Longwood Vet. 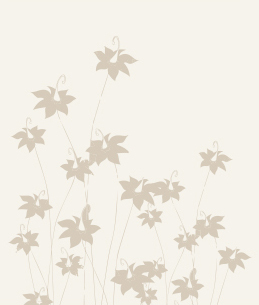 The staff has been a pleasure to work with and are always extremely knowledgeable and helpful. Dr. Siegfried has been an absolute joy! She genuinely cares and listens to my concerns every visit. Unfortunately, after a number of not so great experiences, Bella doesn’t particularly love going to the vet. 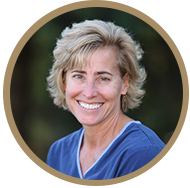 Dr. Siegfried is always so patient and tries to make it a pleasant experience for her. I think my absolute favorite quality of Dr. Siegfried’s is that she always has a plan and makes sure I am one step ahead with preventatives and medications to help reduce the likelihood of future issues. 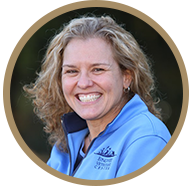 It has been a such a delight working with Dr. Siegfried this past year and I look forward to many more years with her as our vet." Can't thank the staff enough for saving our dog's life. We walked in their place with only minutes to spare the Dr's meet me at the door an scooped her up and got to work. Big thanks, we will be bringing our pack over for regular checks. Every single person at Longwood is friendly, caring, and beyond capable. From the people who work the desk to the vets, my pet and I have received such amazing, compassionate care over the years. I cannot thank them all enough! The docs here are fantastic. 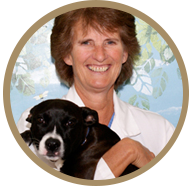 Both Dr. McCabe and Dr. Andrews have been amazing taking wonderful care of our furry kids. Can't say enough great things about this place. Brought my Pug terrier in with dog bites friday night and they worked on her nd kept her overnight. Thank you Dr. Parsons and Dr. Knipe. Bern with this Vet for 10 years! Awesome staff! I recently had to have my 13 yr old lab put down and dr. Parsons and the staff at longwood could not have been any nicer and comforting during this time. Thank you so much!!! !